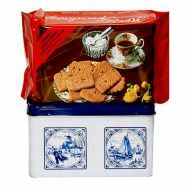 THE REAL "RADEMAKERS HAAGSCHE HOPJES"
ANOTHER GREAT GIFT ITEM! 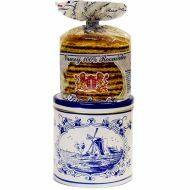 A PRETTY DELFT BLUE TIN FILLED WITH 14 OZ SPECULAAS COOKIES. 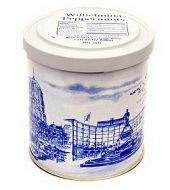 Delft Blue Tin with Windmills all around. 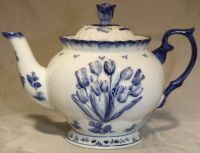 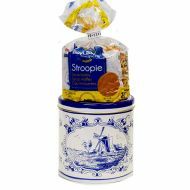 A pretty Delft Blue Tin filled with 8 Stroopwafels. 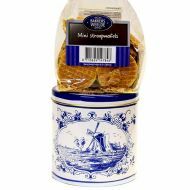 Makes a very nice Gift!